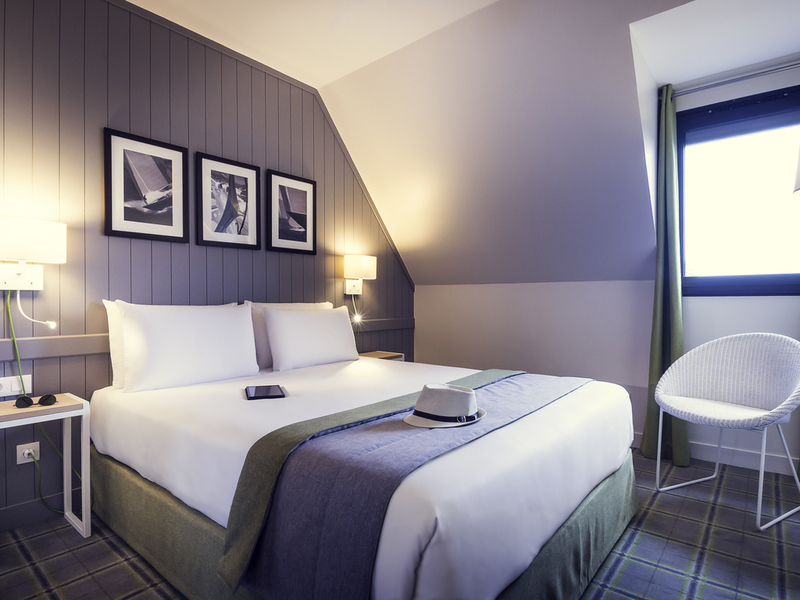 Ideally located in the heart of Deauville, a short walk from the casino and the CID, and opposite the marina, the Mercure Deauville Centre hotel gives you the opportunity to visit its beautiful 4-star building. Traditional architecture with timber-framing, family duplexes, a contemporary design... the soothing atmosphere and the quality services of this Mercure hotel will fully satisfy your needs, whether for work or relaxation. SNCF station 437 yards (400m) away, parking nearby. Let our team help make your stay in Deauville an unforgettable one: Promenade des Planches, the marina, casino, luxury shops, listed villas, racetracks and more. A wonderful stay guaranteed! Completely renovated in 2016: Come and rediscover our entire range of rooms, from Standard to Duplex. For more comfort and amenities, choose our Privilege rooms with balcony. After an invigorating walk along the seafront, relax in our bar "Le Winch" with a cup of tea or a hot chocolate, and make the most of your evening in its lounge-style ambience.